Scan2CAD does convert scanned image files to AutoCAD DWG and DXF files. 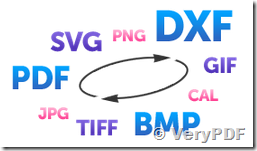 Convert files to and from a multitude of formats including PDF, JPG, TIFF, BMP, CAL, DXF, SVG and more. A raster image uses bitmap pixels to store a digital image which will lose the clarity and quality in a magnified size. Scan2CAD Command Line uses advanced algorithms to compute out paths and control points of the raster pattern and exactly reconstruct the pattern in a vector image. In practice the maximum raster image size that Scan2CAD will handle is determined by your PC’s system resources – for example the amount of physical and virtual RAM it has.Load black and white, grayscale and color raster images – 1 Bit, 4 Bit, 8 Bit and 24 Bit.Convert between raster file types – e.g. load a raster image as a BMP file and save it as a compressed TIFF file to save disk space. Convert PDF to DXF with Scan2CAD, Scan2CAD software does help the users around the world to convert with intelligence & edit with precision. Need to convert a PDF to a CAD format? Then you’ve come to exactly the right place! Scan2CAD is a world-class , editing, and conversion software. Scan2CAD converts PDF files into DXF format, meaning you can open the file in any CAD software system out there. VeryPDF Software has released Scan2CAD, the professional raster to vector conversion program (vectorizer). The purpose of Scan2CAD is to quickly convert uneditable scanned paper drawings into accurate vector files for editing (as a CAD drawing) in any CAD program. It saves the converted file as one of these vector formats: DXF, WMF, EMF, EPS or AI. Once converted, they can be read by any CAD program that supports these formats, including AutoCAD, Corel Draw, Adobe Illustrator, Microstation, VectorWorks, TrueCAD, FastCAD and many others. Why do you need Scan2CAD? 1. Create a raster file by scanning the paper drawing into Scan2CAD using a scanner. 2. Use Scan2CAD to convert the raster file into a vector file. Scan2CAD saves many hours of tedious work. 1. Today, small format scanners are increasingly common on the desktops of CAD users, and a growing number of CAD professionals need the ability to easily scan and convert drawings for editing in their CAD programs. Scan2CAD now makes it possible for them to convert mechanical, electrical or architectural drawings done by hand into drawings that they can edit in their CAD programs and save to a disk. 2. People who receive many small, faxed drawings that in the past had to be digitized into AutoCAD (a far slower method) can save precious time using Scan2CAD. The best way to find out whether Scan2CAD will work for you is to try it using one of your own scanned drawings and the free Scan2CAD trial version. If you are using Scan2CAD it will usually be quicker to use this vectorizer and edit the results than to digitize, trace or redraw a whole drawing from scratch. However there will be times when the original quality of the scanned drawing makes vectorization and subsequent editing a practical impossibility. This is true for all raster to vector conversion programs, none of which perform magic. This entry was posted in Raster to Vector Converter and tagged image to cad, image to dwg, image to dxf, scan to cad, scan to dwg, scan to dxf, scan2cad, tiff to cad, tiff to dwg, tiff to dxf. Bookmark the permalink.